On April 5 Equality Virginia will celebrate OUTstanding Virginians to highlight the importance of being out to the LGBTQ movement. These individuals represent Virginia’s lesbian, gay, bisexual and transgender community with distinction. Tagg Magazine’s Managing Editor and Owner, Ebone F. Bell has been recognized as one of these individuals. Bell started the magazine in September 2012 to give the lesbian, bisexual and transgender community a voice in Washington, D.C., Maryland, Virginia and Delaware. After coming out in college, Bell quickly immersed herself in LGBTQ causes. 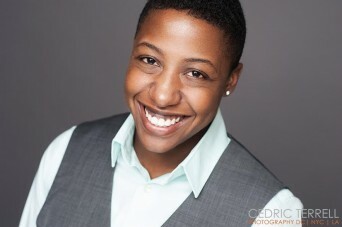 Once involved, her entrepreneurial spirit took over and she has been responsible for organizing a multitude of events and projects, including the annual Capital Queer Prom, hugely successful fundraisers for Capital Pride, and the bi-monthly publication Tagg Magazine. A triple threat, Bell has her hands in publishing, fundraising and event promoting, and is always looking towards the next big idea. Bell will be awarded the honor alongside eight other outstanding individuals on Saturday, April 5, at the Greater Richmond Convention Center. Special guests will include Netflix’s “Orange is the New Black” Laverne Cox and Pulitzer Prize-winning journalist Jonathan Capehart. Equality Virginia is proud to recognize OUTStanding Virginians who have made contributions to the equality movement. The Equality Virginia’s 11th Annual Commonwealth Dinner is the state’s largest gala gathering for the Virginia LGBTQ community and supporters. This year will be particularly spectacular because Equality Virginia will be celebrating its 25th anniversary. Attendees will enjoy live entertainment from noted invitees, a silent auction and the opportunity to meet and network with other members of the LGBTQ community and allies. Tickets are still available at www.equalityvirginia.org. Posted March 24th, 2014 & filed under Activism.